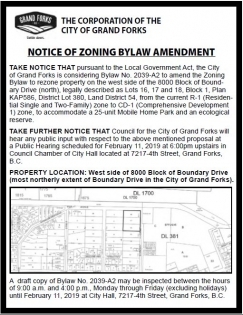 A public hearing regarding two proposed Zoning Bylaw amendments (2039-A2 and 2039-A3) is scheduled for Monday, February 11 at 6:00pm in Council Chambers. 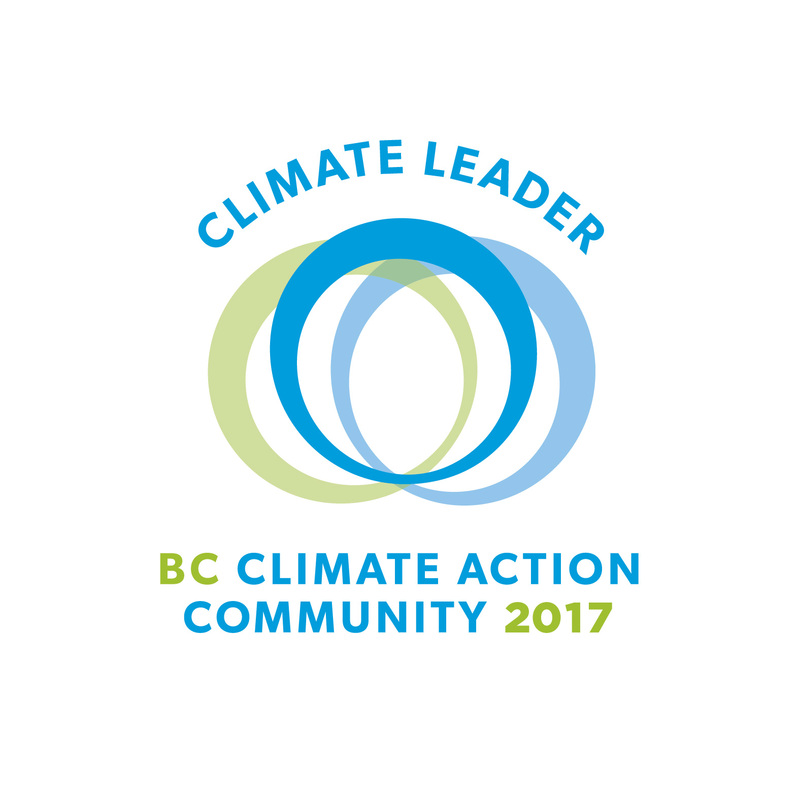 Down Under Pipe Inspection Ltd of Vernon, BC will be conducting sanitary and storm sewer inspections in the downtown area within the City of Grand Forks for a period of 2 weeks, starting Monday, November 26th, 2018. Please obey all traffic control personnel in the construction areas. If you have any questions or concerns please contact the City of Grand Forks at 250-442-4148. As approved by the Manager of Operations. 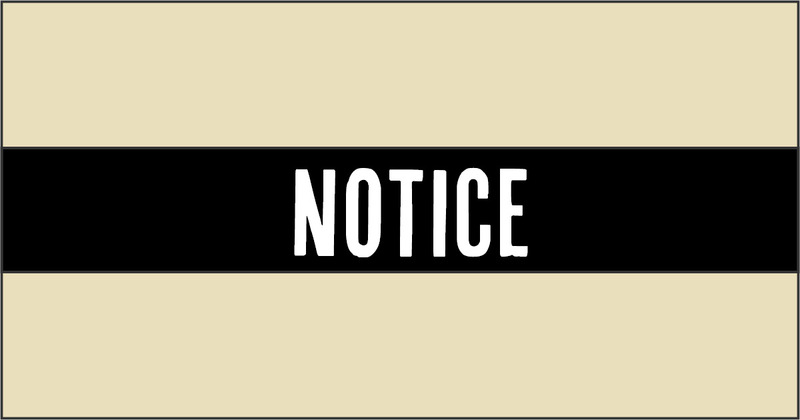 Public notice is hereby given to the electors of the City of Grand Forks that an election is necessary to elect a Mayor and six Councillors. The City of Grand Forks is proposing to amend the 2018-2022 Five Year Financial Plan, Bylaw No. 2045, 2018. 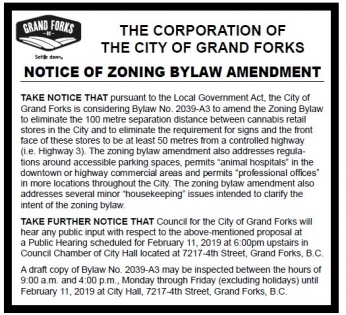 The public will have an opportunity to speak to this bylaw amendment at the Committee of the Whole meeting to be held on Monday, August 20, 2018, at 9:00 am at City Hall, 7217 4th Street, Grand Forks. Comments regarding the Financial Plan amendment can be forwarded in writing to the Chief Financial Officer, by mail, in person at City Hall, or by e-mail to info@grandforks.ca. The City’s paving contractor will be patching potholes around town the week of July 23. Please plan for delays and detours. Thank you for your patience.